Your child loves martial arts and Birthday parties. We love martial arts and Birthday parties too! Your child is having a birthday soon. We love birthdays! You’re fresh out of birthday party ideas. We’re overflowing with birthday party ideas! While you may not suspect it, the fact is the staff at the Martial Arts Training Centre are a fun loving group who are constantly thinking of new and innovative ways to integrate study of the martial arts into everyday life. When we first began offering kids birthday parties with a martial arts theme no one was sure what the response would be. Well, it’s turned out to be tremendous and today we offer a growing variety of birthday party themes that entertain, amaze and reinforce key concepts of the techniques and disciplines we teach. 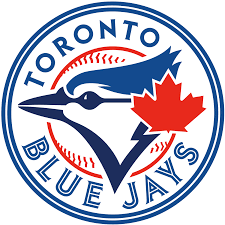 Kids Birthday Parties in Richmond Hill by the M.A.T.C. When it comes to choosing a martial arts related theme for kids birthday parties the possibilities are nearly endless. 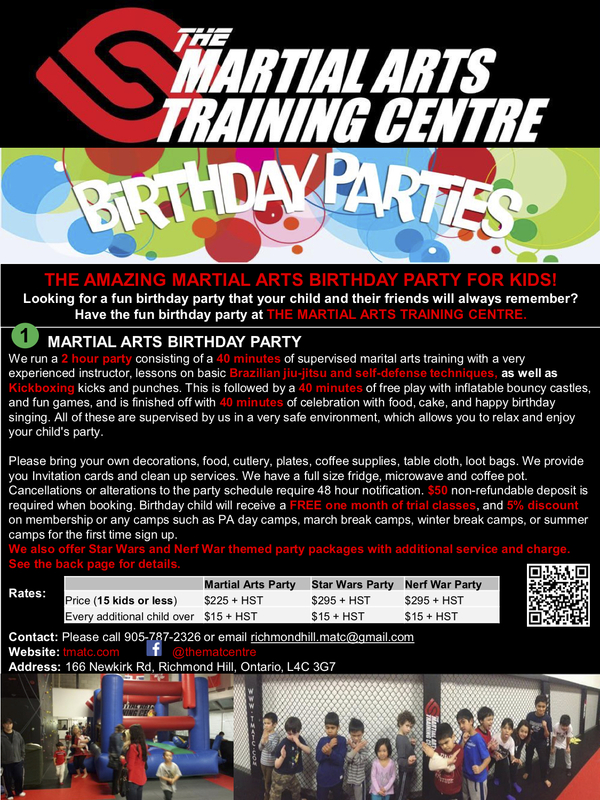 Give the Martial Arts Training Centre a call and find out about our full range of fantastically fun martial-arts-themed kids birthday parties in Richmond Hill. 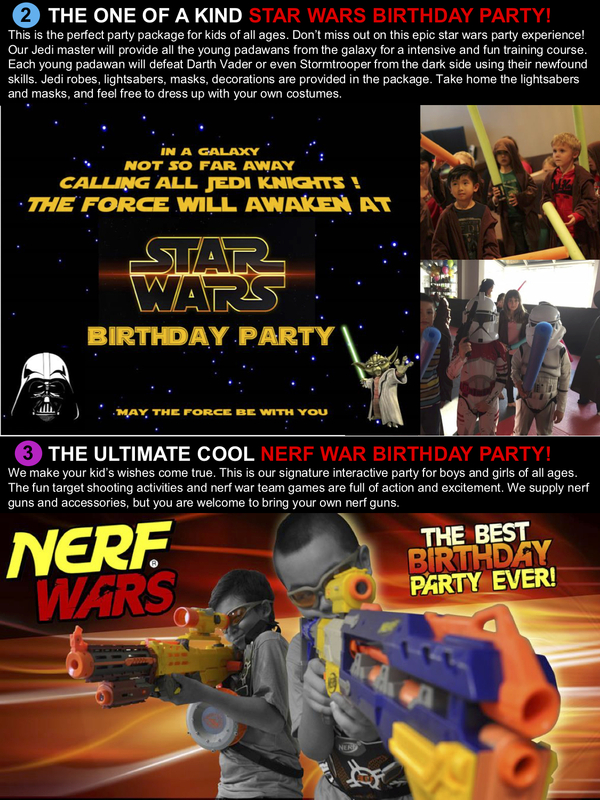 Whether you’re raising a junior Jedi, budding Bruce Lee or super fan of the UFC we’ll create a party for you right here in Richmond Hill that will bring smiles all around and get the cameras clicking in a way no other party has done before. crazy about martial arts? Why not throw a party with a kickboxing or BJJ theme this year? We have loads of great ideas from which to choose when putting together your child’s special day. For something a little more educational, arrange for them to be taught some basic moves by a qualified instructor. This could either take place in our centre equipped for summer camps – before and after school programs multiple martial arts. Or you could hire us to come to your home! Whether you decide to hold the event here or in your own home, we can help! Get in touch with our staff today for more advice on arranging kids birthday parties.